If you listened to our suggestions for staying organized while you pack, unpacking should be a breeze. If you didn't, it's okay, there's still plenty of unpacking tips to follow to at least make one portion of your after move to-do list organized and manageable. After your movers have brought everything into your new home, do a quick count to ensure that all your boxes have arrived. 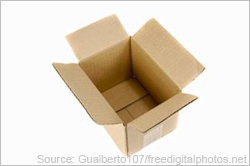 Your inventory should have noted the number of boxes that belong in each room which will help you determine whether or not everything is accounted for. Is something missing or damaged? Tell your movers right away so they can begin to file a claim through your movers insurance. Before you really begin the unpacking process, choose where your furniture will go so you can place your belongings on and around these fixtures. Remember, if the way you set up your home ends up not working for whatever reason, you can always change it. The important thing right now is getting unpacked and situated. Especially if you have young children, teenagers or pets who are going to require help adjusting. You probably have a lot of boxes to unpack, but the ones that get unpacked immediately are the important ones with items you are going to need right away. Assuming you labelled your boxes correctly with the room they go in and the items inside this will be an easy task. Inspect your items as you unpack. If you notice something is damaged, take a photo of it and contact your moving company right away to get started on a claim. You only have a certain amount of time to file depending on the company so do not leave this important task until the last minute. The unpacking process may seem daunting, but if you take it one room at a time while unpacking your belongings, staying organized and sane is definitely more manageable. Don't try and tackle everything at once, start with the most important rooms first (kitchen, bathroom, bedrooms), unpacking boxes and organizing until you are done in that room and can move on. This routine of unpacking systematically will not have you staying organized, but it will seem to make the job go by quicker. TIP: Have children? Are they old enough to unpack their own rooms? Set them to the task themselves so you have one less thing to worry about. Also consider unpacking communal living areas together to bond your family with each other and their new home. Once you are successfully unpacked it's time to start recycling or reusing those moving boxes and packing materials that you accrued. Of course after the unpacking has been successfully carried out (in an organized manner) the real fun can begin: decorating and reorganizing your new home!